Your Chauffer will pick you at the Bandaranaike International Airport and transfer to your hotel in Colombo. After breakfast Proceed to Sinharaja.Explore the rainforest. Early morning visit Sinharaja with fruit baits of ripe jack fruits, mango, guava etc. 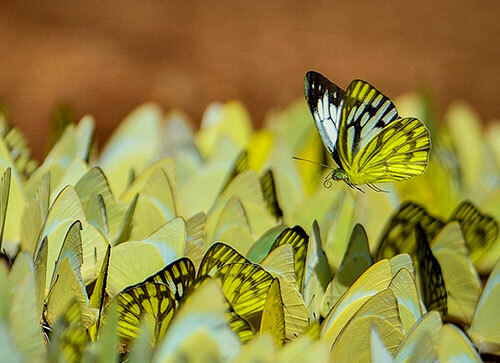 Keep them at selected spots, including Bamboo bushes and palm trees and wait for the butterflies to come to them.Also walk along the forest foot paths in search of butterflies. Afternoon leave for Weddagala / Rakwana (through the jungle route), Suriyakanda / Kolonna / Panamure to Embilipitiya. 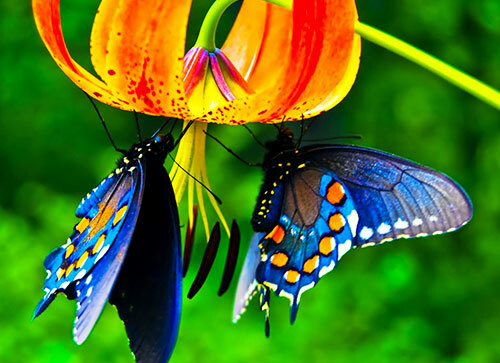 Look for butterflies on the way. Also visit “MaduwanwelaWalauwa”(at Kolonna), a Sinhalese Chieftain’s house which contained 121 rooms earlier, now only 21 rooms. After breakfast look for the Dark Grass Blue, the Ape Fly, The Common Pierrot, The Common Cerulean, the Purple Leaf Blue, The Peacock Fancy, the Baron, The Lime Butterfly and the Glassy Tiger, species of butterflies in the Embilipitiya area, and leave for Hambantota. Afternoon look for Butterflies found close to the beach, near the Salterns in the Palmyrah Palm Tree area and the jungle, just after the Salt Company stores. Overnight stay at hotel in Tissamaharama or Yala. After Early morning commence a 4W Jeep Safari in Yala National Park to see Wild animals including Elephants, Leopards, Deer, Sambhur, Wild Boar, Sloth Bear, Buffalo, Crocodiles, Peacocks and large number of birds. 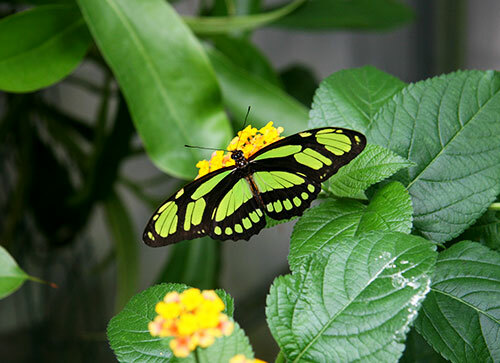 Look for the Tailed Jay, The Dark Wanderer, the Cruiser, the Common Tiger, the Plain Tiger, The Gladeye Bush Brown, The Little Banded Swift, the Common Rose, The Dark Blue Tiger, The Small Salmon Arab, The Tawny Coaster and the Common Leopard butterflies in the park. After the Breakfast leave for NuwaraEliya via Wellawaya and Ella. 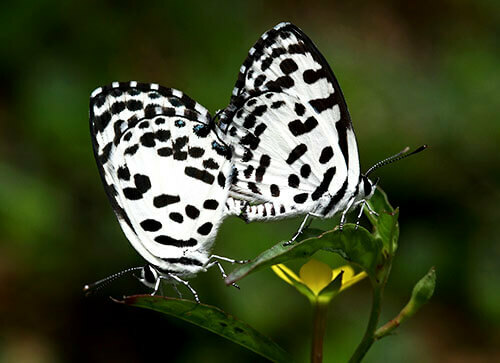 Look for Butterflies – The Tailless Line Blue, Ceylon Tiger, the Forget-me-not, The Blue Pansy, The Large Oakblue, the Common Jezebel, The Common Laser, the Indian Awl king, the Common Sailor, the Chestnut Streaked Sailor, The Tree Nymph, The Red Helen in the Lunugamvehera Sanctuary and near Ravana Ella waterfall. Afternoon enjoy the scenic beauty of the hill station including Victoria Park in the city, drive round the lake, visit Elk plains & Moon plains. 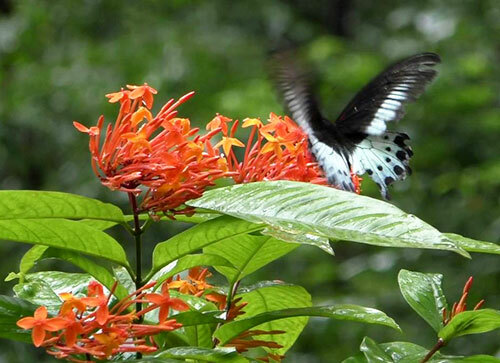 Evening visit Hakgala Gardens and look for any rare Butterflies you may see among the flowering trees and plants in the park. After breakfast leave for Horton Plains National Park. 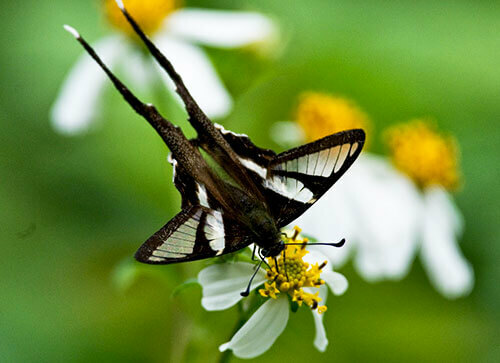 Start a walk in the National Park area as well as outside in dwarf Bamboo groves, Patanas and jungle cover look for the following butterflies which are endemic, very rare or peculiar to the Plains. 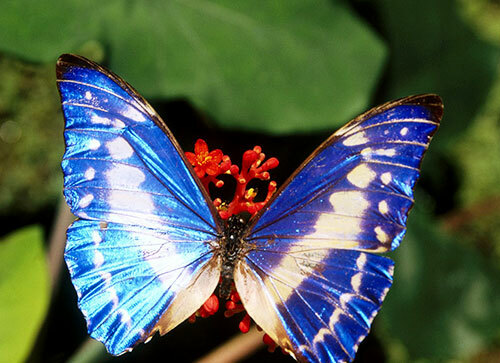 The Ceylon Tree Brown, The Ceylon, Forester, Ceylon Tiger, The Blue Admiral, The Cruiser, The Tamil Lace Wing, The Aberrant Bushblue, The Blue Mormon, The Red Helen, The Hedge Hopper, The Rare Ace. Afternoon walk up to “Little World’s End” and ” World’s End” and see the beautiful trees and plants, Orchids and Wild animals such as Sambhur ( more than 3000 in the plains), Leopards, Bear, Monkey etc. and large number of birds including some rare and endemic birds. Evening back to NuwaraEliya. On arrival visit visit the Royal Botanical Gardens ( 147 acres) and look for the Metallic Cerulean, The PlumbeousSilverline, the Yamfly, The Great Orange Tip , The Indian Red Admiral, The Ceylon Lesser Albatross, The Ceylon Palmfly, The Common Tree Brown, The Blue Admiral, The Common Banded Peacock and The Common Blue Bottle among the flowering bushes and trees. After breakfast leave for Knuckles Range of mountains. 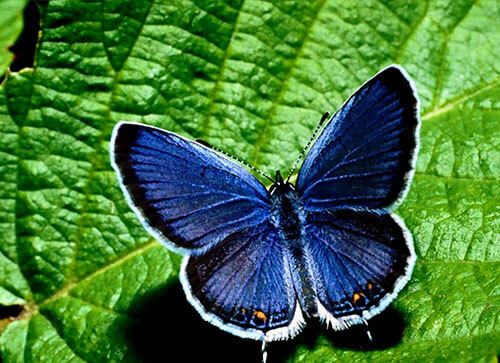 Spend the whole day in the mountain range looking for rare and endemic type of butterflies- the Common Line Blue, the Indian Dart, the Common Banded Awl, The Clipper, The Ceylon Tiger, The Indian Fritillary and Common Banded Demon. Thereafter proceed in Sigiriya. 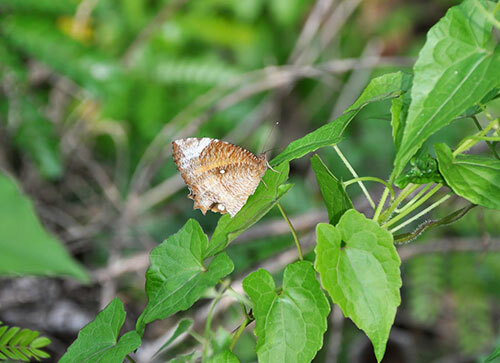 Afternoon climb the Sigiriya Rock Fortress Walk to the pleasure garden, along the inner moat and proceed to Pidurangala Temple – an area full of butterflies. Sometimes large groups of Flighters could be seen drinking water in half dried streams and pools. After breakfast leave for Polonnaruwa. On the way see large number of Flighters and the following butterflies: the Zebra Blue, the Monkey Puzzle, the Plain Cupid, the Common Guava Blue, the Peacock Royal, the Common Shot Silverline, The Spot Sword Tail and the Red Spot Duke. Afternoon commence a sightseeing tour in Polonnaruwa while looking for butterflies in the jungle and open areas around the monuments. Overnight stay at a hotel in Polonnaruwa. After breakfast leave for Anuradhapura via Habarana. 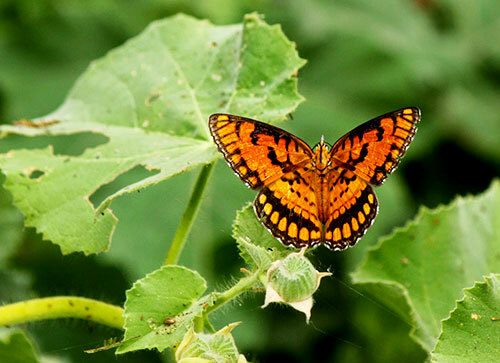 On the way look for the following butterflies in the Minneriya – Giritale National Park and in the jungle between Habarana and Maradankadawala: The Tawny Rajah, The Psyche. 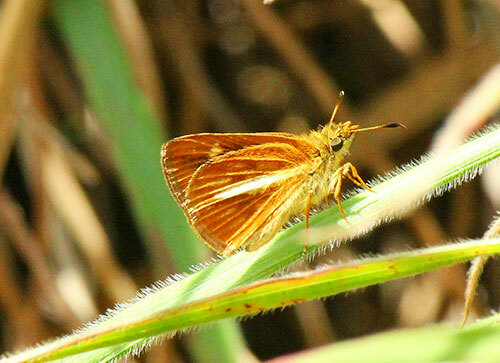 The Small Salmon Arab, The White Orange Tip, The Golden Angel, The Brown Awl. The Common Evening Brown, the Brown King Crow and the Common Mormon. 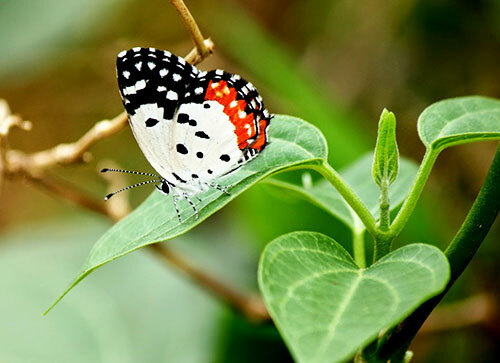 Visit Mihintale Temple & look jungle area for butterflies. At Ibbagamuwa proceed to Kumbukgete and Dolukanda to see some rare species found in the Dry zone. Also see the large number of medicinal trees and herbs and the ruins of a Temple Complex. Evening commence a city & shopping tour in Colombo. After breakfast, you will be transferred to Bandaranaike International Airport to connect the departure flight.